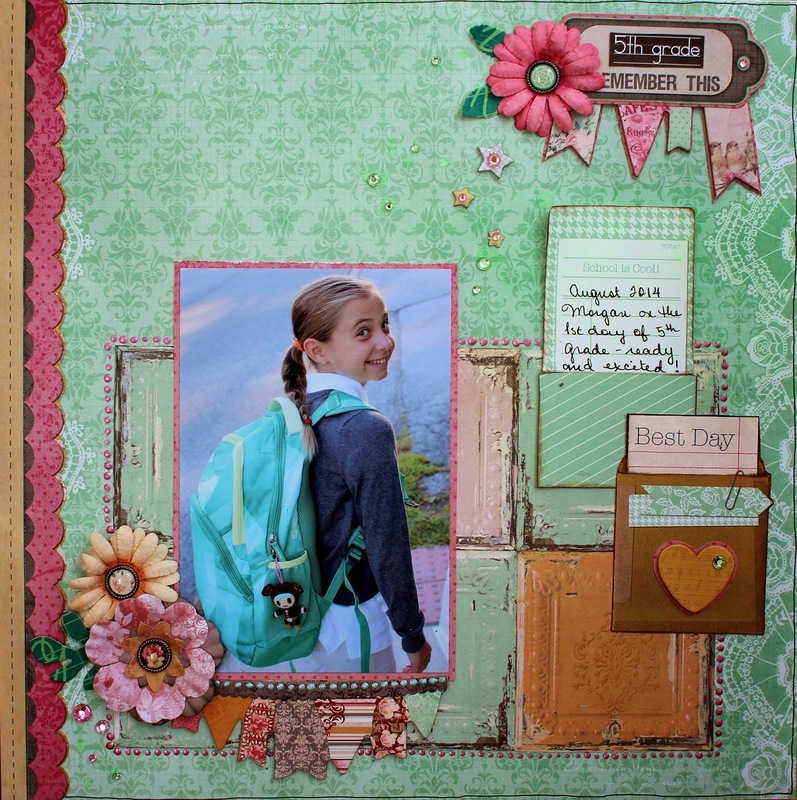 What a bunch of scrap...: Scrapbook Generation's "Create"! Well, the latest issue of Scrapbook Generations "Create" Magazine is live, and BoBunny is the featured company! So the BoBunny DT was asked to create projects based on sketches provided in the magazine, and I did a one-page layout. I used the gorgeous "Madeline" collection, with a little of "Pop Quiz" thrown in, to scrap this photo of Morgan on her first day of school this year. 5th grade already! I also added BoBunny mists, bling, chipboard, die-cuts, Pearlscents, "Sugar" ink pad, and more. To see the sketch my LO is based on, check out the latest issue of the magazine HERE. It's such a great publication and it's totally free! You can also check out this issue and all past issues on their main magazine page HERE.